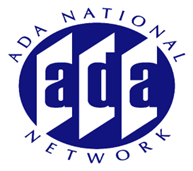 Everything You Need to Know About the Enforcement of the ADA But Were Afraid to Ask. When do I file? What agency do I file with? What is alternative dispute resolution? Can I file at the state and federal level at the same time? What is a designated agency? What if I miss the 180 day filing deadline? These are just a few of the many questions that are posed each day about the ADA and the enforcement process. This session will review the enforcement options available to individuals and explain the various methods for pursuing a complaint under the various titles of the ADA.